Patience Hews married Joseph Hooton in Oct 28, 1731 at Nantucket, Nantucket Co., MA, USA. Lydia Hooton married William Chapman in Apr 21, 1771 at Nantucket, Nantucket Co., MA, USA. William Chapman married Lydia Hooton, daughter of Joseph Hooton and Patience Hews, in Apr 21, 1771 at Nantucket, Nantucket Co., MA, USA. Susanna Hooton married James Whitehouse in Feb 1, 1770 at Nantucket, Nantucket Co., MA, USA. James Whitehouse married Susanna Hooton, daughter of Joseph Hooton and Patience Hews, in Feb 1, 1770 at Nantucket, Nantucket Co., MA, USA. Linda Rene Thoms married David Allen Stokes. Asa Houghton married Rebecca Conkling in 1819. Joshua Weston Houghton married Miranda Marie Button in Oct 2, 1849 at Ontario, Canada. Western Houghton married Nina Elizabeth Blanchard in Feb 19, 1890 at St. Clair, MI, USA, at the residence of Mr. C. W. Blanchard. 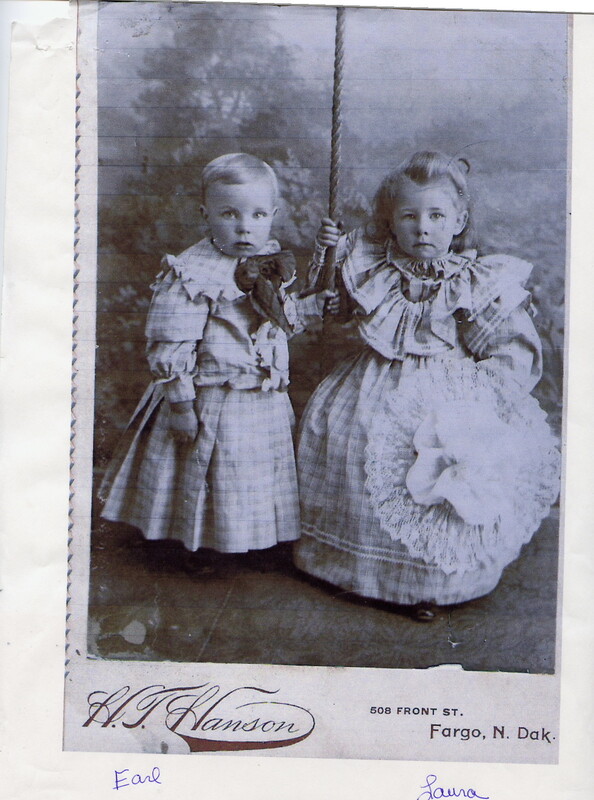 Western Houghton married Hattie F. (?) age at first mar 24 & 17. Earl Button Houghton married Jennie Christine Magnuson in Nov 21, 1917 at Karnak, ND, USA. Eliza Jane (?) 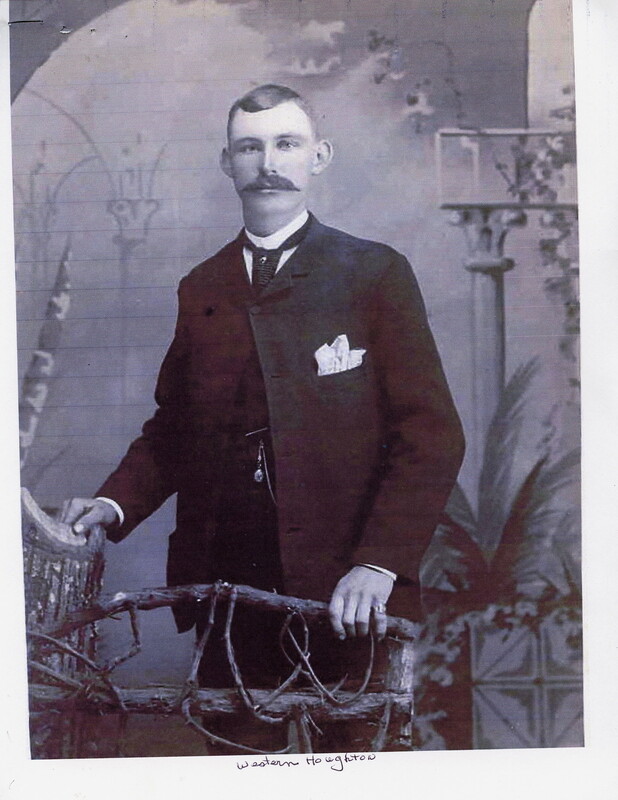 married John Edward Houghton, son of John Houghton and Sarah Morse. 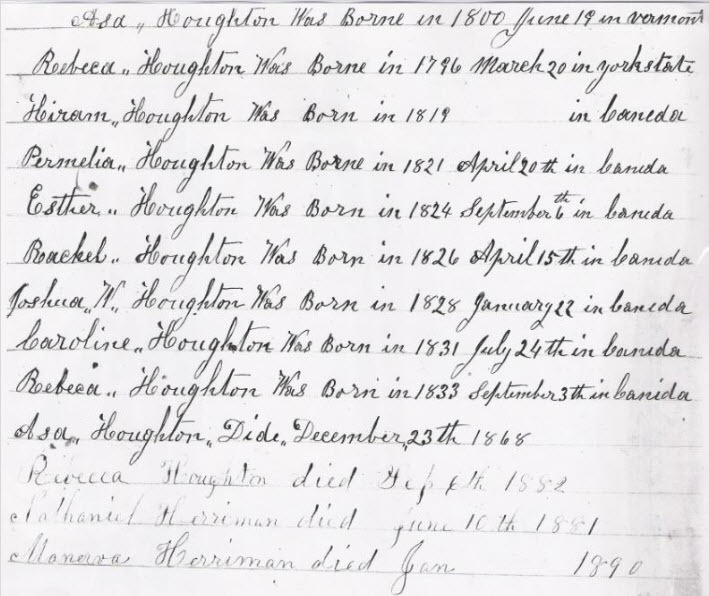 George G. Houghton married Arvilla Lizzette Swain in 1876 at Middlesex Co., MA, USA. 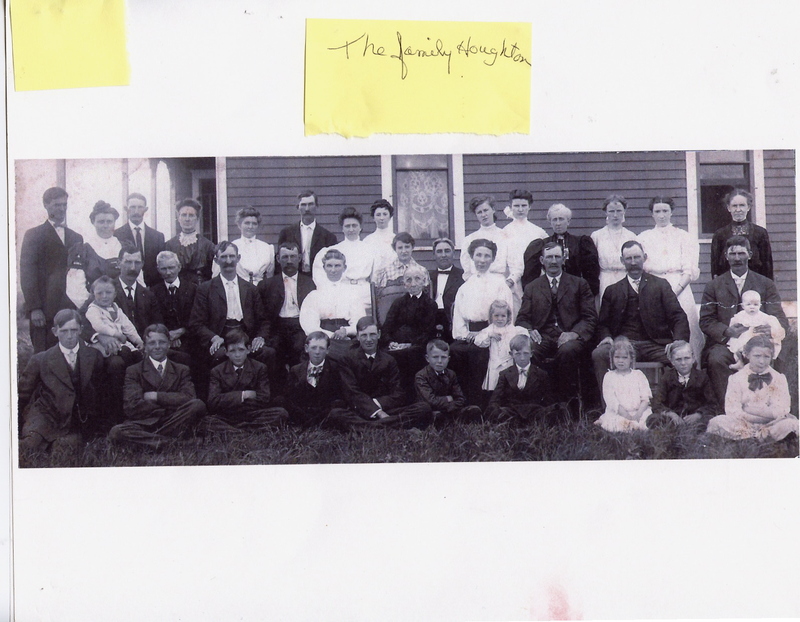 George G. Houghton married Sarah E. Peoples in 1901 at Middlesex Co., MA, USA. Francis Edward Houghton married Jessie A. (?) in circa 1869 mar 30 y in 1900 census.